These shortbread cookies are perfect for those spring and summer events. The lively citrus notes go so well with the hint of floral from the lavender buds. It is important to use culinary lavender and not the type that you would typically see in in flower shops – you don’t want to be eating all of those pesticides and other chemicals. You can typically find culinary lavender in specialty grocery stores. I have also come across some at my local Winners, Marshals and some Bulk Barns. 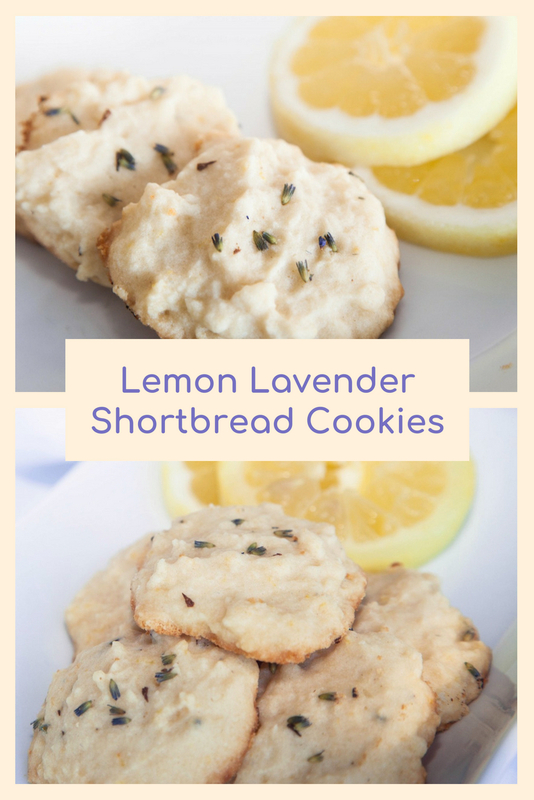 I have been dying to try a recipe with lavender since I picked some up at the St. Lawrence Market here in Toronto. The lavender is not overwhelming. You just get a hint of the floral taste afterwards. These cookies are very rich and delicate and pair so nicely with tea. If you’re having a tea party or a shower this year, this is definitely the dessert you are looking for. These pretty and absolutely delicious cookies are bound to impress your guests! Drop a teaspoon sized of the batter on to a cookie sheet and lightly flatten a bit. You may also like these ideas!